My best friends were always pestering me to try the "Assassin's Creed" games, but I would tell them every single time that I wasn't interested, mostly because I had no idea what they were about. So, on one of my last trips to my favorite game store (before it shut down), I saw the first game in the series on the shelf for $13.99, and I had the money, so I picked it up. First up, story. In this game, it has been discovered that the memories of past people are passed down as genes through their descendants, and an unnamed scientific organization has built a machine called the Animus, that it allows them to access these memories. The organization has kidnapped a man named Desmond Miles, a bartender who is a descendant of a Altaïr Ibn-La'Ahad, a member of the Assassins (a real-life eponymous group who existed at the time). 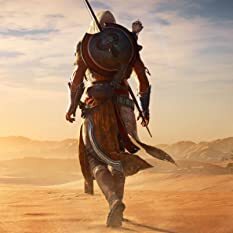 On a mission, he violated all three tenets of the Assassin's Creed, and he is sent out on a mission to kill nine specific members of the Knights Templar to regain his honor. The organization won't let Desmond leave until they get the information they want from him, through the Animus. 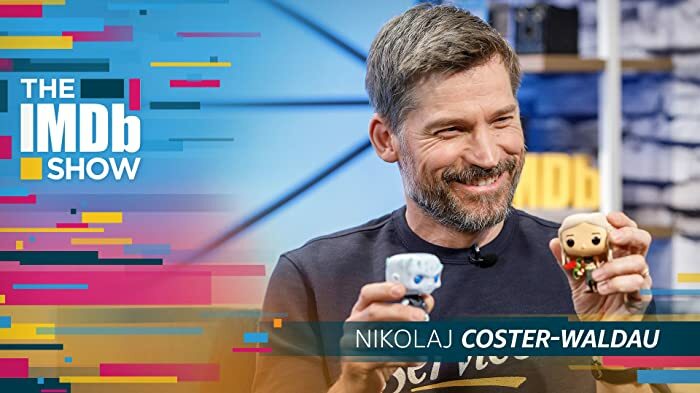 The story is well done. Altaïr's character develops, and many of the conversations that other characters have with him are deep and thought provoking. It manages to keep you playing. Next, sound. The music (what little there is) is good and fits the situation when it's there, but is fairly forgettable and not outstanding. The sound effects are done better, but the sounds of the blades clashing together is loud and obnoxious. The voice acting is done very well. Everyone delivers a strong performance, and the voices fit for everyone. Next, graphics. The landscapes tend to glow one color, and there is very little detail put into most characters (especially the Templars). Altaïr and Majd Addin are the best looking models in the game, but Altaïr simply carries a lot of gear, and Majd Addin has a simple pattern on his robe. However, the buildings and clothing that the characters wear are very accurate to the time, no matter where you are. Finally, game play. 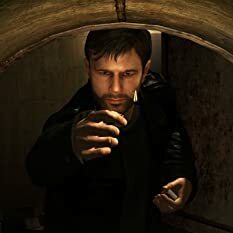 Your goal for every target is simple: learn what you can about them by conducting three specific investigation types (interrogation, eavesdropping, or pickpocketing), get approval from the head Assassin in the city, then go and kill the target. 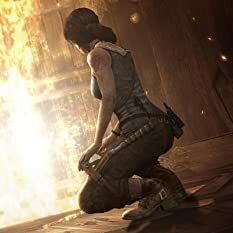 There are a few things you can do along the way, which usually consist of the following: saving citizens from guards that are harassing them, climbing tall buildings known as viewpoints and surveying the environment to reveal parts of the map, and helping fellow Assassins in each city with a specific task. There is some variety in the side missions, and that is appreciated, but unfortunately, the game is so focused on the main objective and taking steps to accomplish. You feel like you're doing something wrong if you don't work towards the main goal the whole time. That being said, the assassination jobs are fairly straightforward, and are fun to play through. The control, however, is a bit stiff. The letter buttons are presented as being linked to a part of Altaïr's body; A for the legs, X for the right arm, B for the left arm, and Y for the head (these are Xbox controls, translate them for yourself if you have a PS3). However, it's a fancy way of saying that these buttons run, fight, and use Eagle Vision. Altaïr moves very stiffly on the ground, and every movement feels like it needs to be forced. Additionally, Eagle Vision can only be used you are standing still and at full sync. Because of this, you may get very, very frustrated within the first few hours of playing it (I got so mad, I was considering returning the game). However, stick with it. You will eventually become better and better at controlling Altaïr's movements, and by the end, he will move naturally. The free running element is done well and flows when done just right. Lastly, the stealth. This game employs a social stealth system that can make or break a mission. There are 5 stealth settings: Anonymous, Vanished, Vanishing, Unseen, and Exposed. Anonymous is what you (should) desire, at all times, as guards will not interfere with any of your actions at these time. If you are Exposed, you have committed a crime and the guards will attempt to kill you. Unseen means that they have lost sight of you, but are still on the hunt. Vanished and Vanishing can only be achieved by using a hiding spot, and the guards will not find you in either of these states. You can sit on benches, hide in roof gardens, or blend with scholars to hide. It's well done, but you can spend a long time in Exposed, because the guards are spaced all over the cities, so it can be hard to escape and go back to Anonymous status. Lastly, the content. While the game is rated M, it's only because of blood and violence, and language; there is no gore whatsoever. 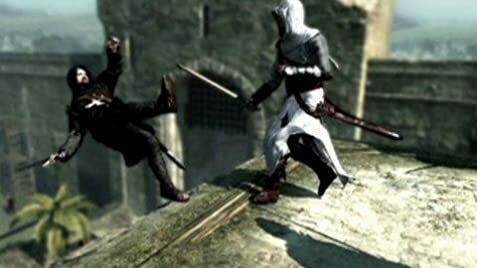 Some of the kills that Altaïr can perform are somewhat brutal, such as kicking a man in the kneecap, and then stabbing them in the neck with a short sword. Blood emerges from the wound and dissipates into a red mist in the air. However, it disappears in less than a second, and the blood can be turned off entirely in the options menu. Overall, I really don't think it deserves the M rating. There is no gore, and blood can be removed entirely. To end it, the story is great, the sound and graphics are okay, but the game play and controls are great if you can get past the stiffness. This is certainly not the best game I've ever played, but it is a great game regardless. Originally, the game was to include a crossbow for ranged attacks but Ubisoft had this removed to make the game more challenging (as test gamers favored the ranged attacks over mêlée combat). Although the crossbow doesn't feature anywhere in the game play anymore, the evidence of it's existence is still in the trailer at the start up of the game - Altair is wearing it on his back along with a quiver of bolts. It was also removed due to historical inaccuracy.